The Supertuff range of Grit Bins and Salt Bins are moulded in extremely durable UV stabilised polyethylene and offer a secure, practical and long lasting storage solution for grit and salt. 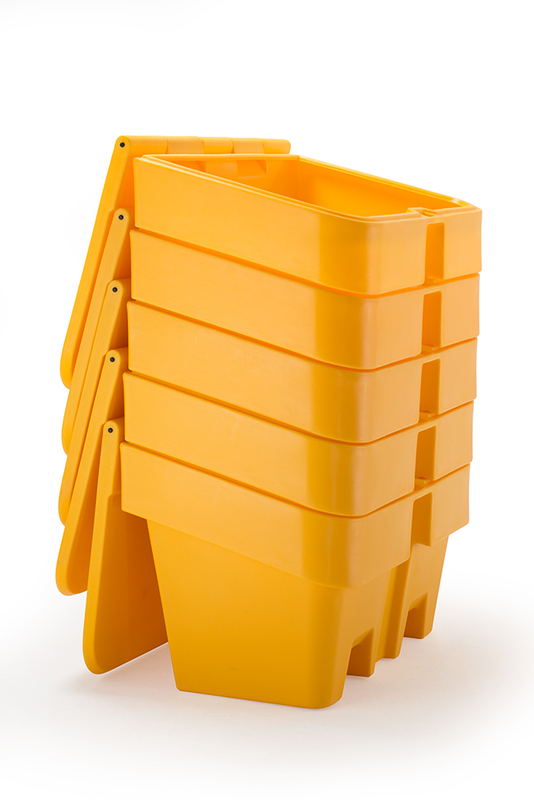 Completely constructed from plastic, the Grit Bin guarantees to never rust or corrode. 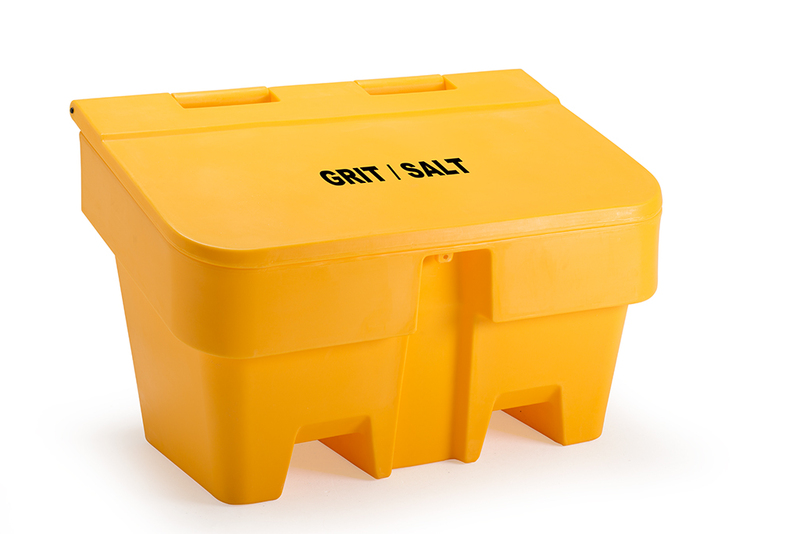 Equipped with a water tight hinged plastic lid, clearly marked Grit / Salt and a tough plastic hinge, the Supertuff Grit Bin has no metal components, meaning no corrosion and a longer lasting reliable product. Safe and secure, these roadside grit bins can be locked with just a simple padlock, there is no requirement for additional hasp and staple fixings. Easily stored and transported, the Supertuff range of Grit Bins have a nestable design and convenient fork pockets for easy manoeuvring and positioning with a fork lift truck. Available in a range of colours and sizes, successfully prepare yourself for the cold winter months with a Supertuff Grit Bin.